Description: New Acer laptop motherboard. 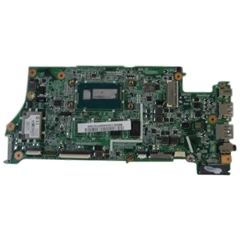 C720 LF ZHN MB (Cel-1.4G/D2G) w/ CPU, Mainbd UMA W/CPU2955U 1.4G RAM-2G w/WIFI. Compatible Part #'s: NB.SHE11.004, 21ZHNPA0000, DA0ZHNMBAF0.